This book can change your life, it can start a healing process just by listening to it. 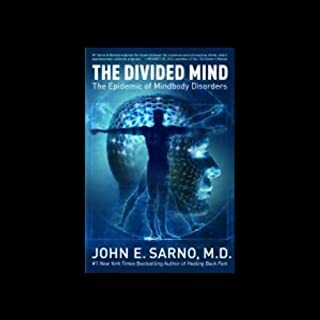 Through knowing and identifying what’s going on with you, simply by that knowledge this book can help you. 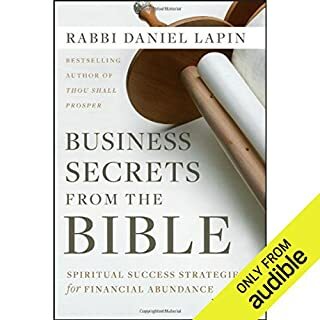 One of the best books in finance, there are others from Rabbi Daniel Lapin on this same topic. 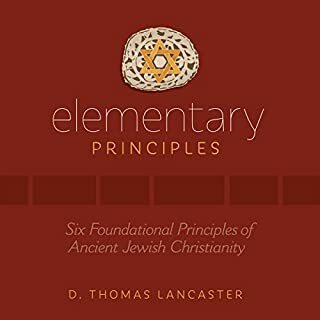 Recommend all His books, including a library on other topics that will also help your finance, so rich in wisdom, direction, and practicality. Are you a spiritual person? A mature Christian? The apostles do not think that you are unless you have mastered the basic principles of the oracles of God. I strongly recommend this book. When I came to know The Lord in the Christian faith 20 years ago. It's was an amazing time for me finding Jesus The Messiah. But , there was always an unsettling feeling with in me. This book was able to fill in some of those questions I had. So happy that a new journey in Messiah is growing.